With Readly you can read Astronomy for Beginners and thousands of other magazines on your tablet and smartphone. Get access to all with just one subscription. New releases and back issues – all included. "Astronomy for Beginners brings you everything you need to know to view the wonders of the night sky. 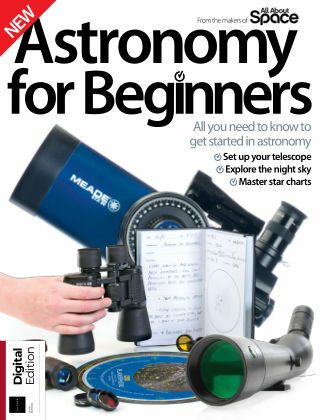 From the basics such as setting up a telescope, reading star charts and using binoculars, through to keeping logbooks and joining a club, this new edition will help you learn all the essential techniques and practices. Whether you want to identify constellations or photograph craters on the moon, these guides are the place to start. Astronomy essentials - Choose the right equipment and set up your telescope Getting started - Practical advice to help astronomy novices get going with astronomy Seasonal guides - Use sky charts and learn what incredible sights you can view all year round Astrophotography - Capture memorable nighttime sightings in amazing photos - Also inside... - Top telescope guides - Set up a mount - Choose the right eyepiece - Tips to minimise light pollution - Astronomy apps - See what's in the sky all year round - View the planets - Track meteor showers - Hunting comets - Observing the stars and galaxies - Amazing space photography - Inspirational discoveries - Common astronomy problems solved - Troubleshoot telescope issues - In-depth glossary - Clubs and societies guide"